Tulsa County, Okla., officials settled a civil rights lawsuit on Friday when they agreed to pay the estate of Eric Harris $6 million; Harris was shot and killed in 2015 by a man so rich, county officials allowed him to literally play a game of cops and robbers. 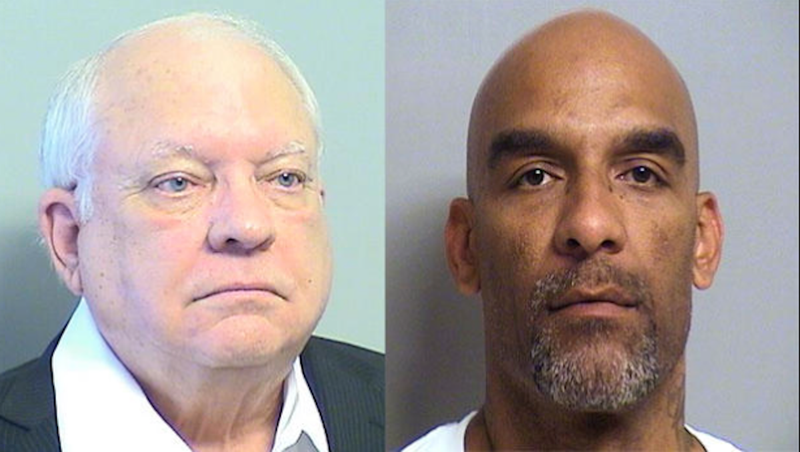 The case made national headlines after Tulsa County officers invited 73-year-old Reserve Deputy Robert Bates along for a gun sting meant to ensnare Harris. Harris was chased down and subdued by officers when Bates, a wealthy insurance executive with an affinity for law enforcement, shot Harris in the armpit. Bates claimed that he mistook his gun for his Taser but was sentenced to four years in prison for second-degree manslaughter. Bates was deputized as a reserve officer by his a fishing partner and benefactor, Tulsa County Sheriff Stanley Glanz. Gates had donated vehicles and equipment items to the Sheriff’s Department and gave money to Glanz’s political campaigns, serving as the campaign manager during Glanz’s 2012 run for sheriff. The Harris family sued Bates, Glanz and four other officers for excessive force and civil rights violations. The civil suit alleged that Glanz “turned a blind eye to these dangers … to allow his friend and financial benefactor to ‘play cop’ in the streets of Tulsa County.” It also charged that Bates was improperly trained. The $6 million settlement closes the civil case and bars the Harris estate from filing individual suits against the defendants in the case. The money will be paid out over three years, bringing the total cost of Bates’ cop cosplay to $6.6 million for the citizens of Tulsa County, according to the Tulsa World. Stanley Glanz eventually resigned after he was charged with misdemeanor crimes in a subsequent investigation. Robert Bates served 497 days of his four-year sentence and was released in 2016. Eric Harris is still dead.